Modified Active Play 1 & Grass Mats surfacing. 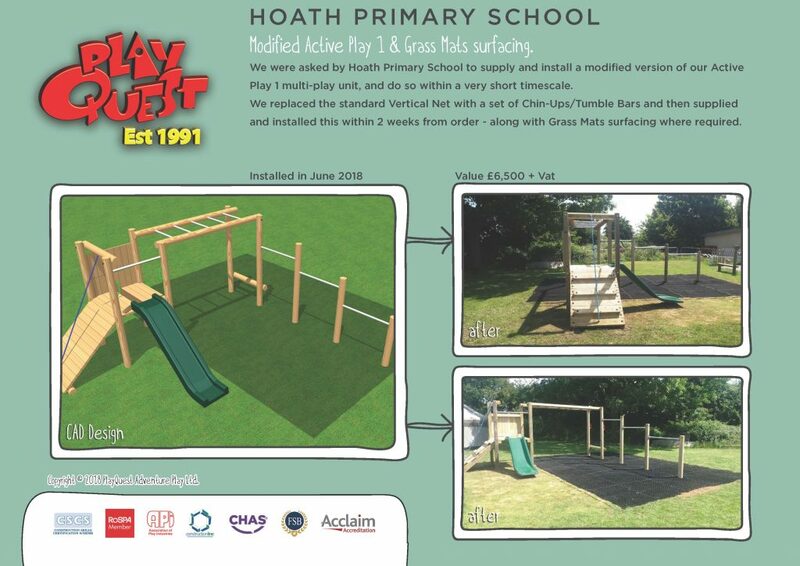 We were asked by Hoath Primary School to supply and install a modified version of our Active Play 1 multi-play unit, and do so within a very short timescale. We replaced the standard Vertical Net with a set of Chin-Ups/Tumble Bars and then supplied and installed this within 2 weeks from order – along with Grass Mats surfacing where required.